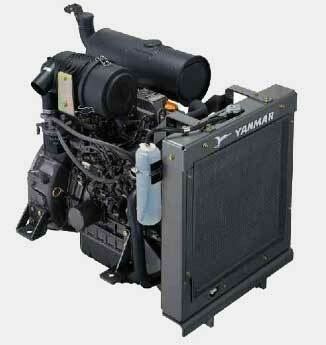 Generator Associates stocks 8 Yanmar generators, imported directly from Japan. These are single and three phase diesel generators, with outputs ranging from 13 to 14kVA. When the need arises for supplemental power, nothing takes the place of dependability. That�s why our generators have the support of working professionals everywhere. Our diesel powered generator line all offer great durability, low vibration, quiet operation, and recoil or electric starting. Our parent company was founded in 1912 and developed the world's first commercially viable small diesel engine in 1933. The diesel engine has continued as our core business ever since, our key tool in the rationalization and modernization of agriculture, fishing and industry. We have brought the world ever more energy-efficient and economic engines and implements through a constant process of development and market expansion. Our goal is to promote the quality of life by providing the machines that use energy with the utmost efficiency and value.